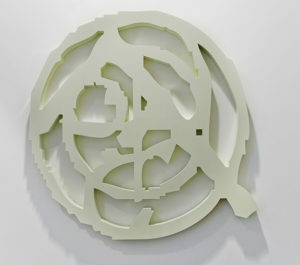 James Harris Gallery | Amir Zaki: "Survey 1999-2015"
James Harris gallery is pleased to present Amir Zaki, Survey 1999 – 2015. 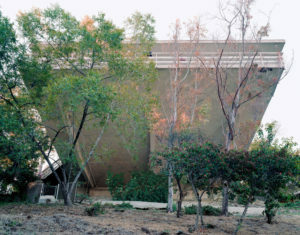 The gallery has represented the artist since it was established in 1999. This comprehensive survey show presents work from ten series created by the artist during the past 16 years. 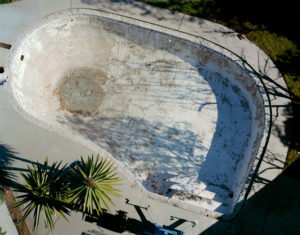 His photographic practice engages with Southern California landscapes, from urban settings of Los Angeles to architectural structures in suburbia to portraits of its natural elements. Zaki is interested in how the camera translates the physical environment into two-dimensional representation. 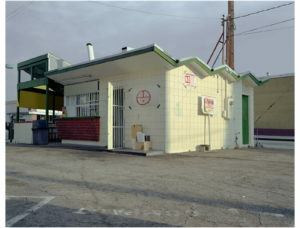 The core of the artist’s practice is focused on the often peculiar vernacular of the Los Angeles Basin and how the strangeness of its natural and man-made elements lend themselves to be perfect subjects for the medium of photography. 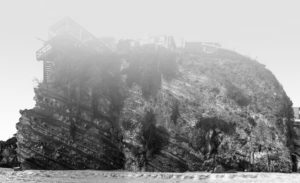 Zaki creates digitally manipulated photographs, a practice he calls “hybrid photography”, posing questions around the authenticity of images and the impossibility of a physical, spatial relationship to these landscapes. Zaki’s images are heightened with a psychological underpinning, often presenting a sense of unease or instability within the landscape. 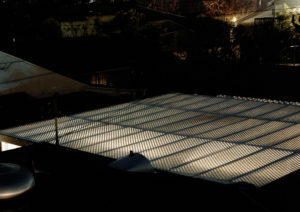 In his earlier bodies of work, Photographs From (2000) and Various Recordings… (2001), Zaki captures desolate views of Los Angeles at night from unfamiliar vantage points, positioning the viewer in precarious relationships to the ground. 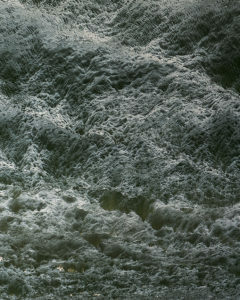 Using digital manipulation in his series Spring Through Winter (2005), Zaki creates impossible architectural landscapes. 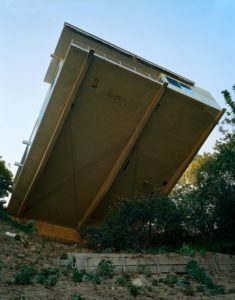 The photographs depict suburban California homes, designed by Richard Neutra, hanging precariously over a cliffside, reflecting the geological and environmental strains of the region. Zaki has digitally removed some structural supports from the houses, which calls extra attention to the way they are cantilevered out over the hillside. 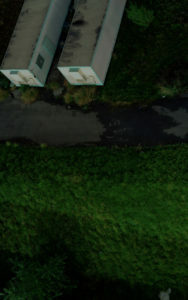 The artist’s resulting representations suggest traumatic inventions of the built environment and heighten the real presence of entropy at the site. Part of Zaki’s documentation of a particular landscape or natural element, is a conceptual exercise or study for the artist where he is able to explore an idea, and create a taxonomic cataloguing of an object or site. 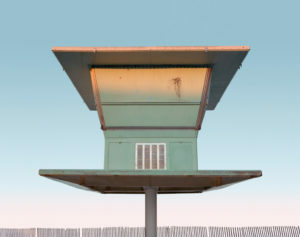 In several of his series, Zaki focuses on similar architectural elements within a landscape, almost personifying these unique structures. 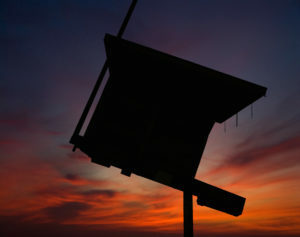 In Relics, the artist features lifeguard towers, an iconic structure along the beaches of Southern California. In this series, these towers float against a false backdrop of an nondescript sky, further pointing to these as conceptual renderings rather than depicting a particular place. Each rendering has its own personality, and these animate towers appear to have picked up and moved to an alien planet with a strange atmosphere, absent of gravity. Part autobiographical, this work was created when Zaki moved out to Orange County, and this architectural form represented a shift in both his art and his life. 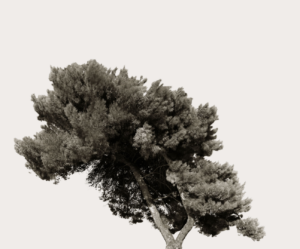 Zaki similarly approaches a series of tree portraits in a later series Times Moves Still (2013). 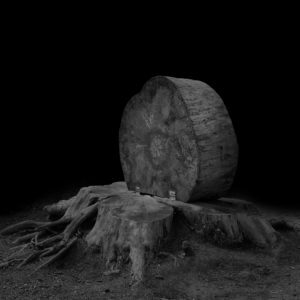 As if representing these trees in the tradition of historic black and white portraiture, Zaki captures the top portion or the bust of the tree, isolated against an open sky. 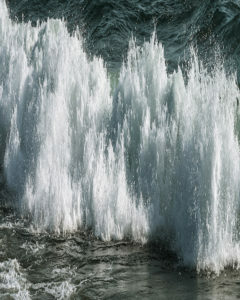 These images are printed in widely varying sizes and with a very particular warm tone that Zaki created and fine tuned. 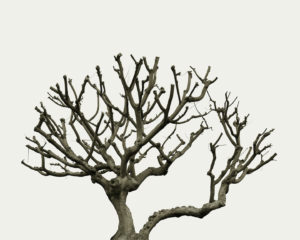 These trees are imperfect, revealing a fragility and impermanence of their existence in nature. While the photographic image is the core of his practice, Zaki’s conceptual approach to his work expands into multi-media representation, particularly when investigation the space between two and three dimension. The artist first began this sculptural approach in 2001 when he sliced his photographs in order to remove a section of the scene, turning the work into discreet yet connected objects. 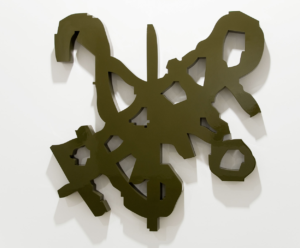 In 2007, he created a series entitled, A Question Marks The Spot that pairs monochromatic sculptures with photographs to emphasize the visual language of signs and symbols found in the urban landscapes. 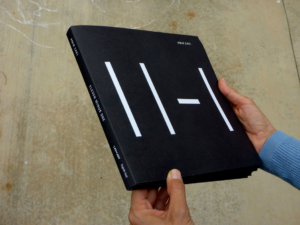 In one of Zaki’s most ambitious conceptually driven series, Eleven Minus One (2010), a fold-out book incorporates physics, mathematics, photography and a 10 channel video installation (not included in this exhibition), influenced by a series of photographs from the mid 1980s by Swiss collaborative artist Peter Fischli and David Weiss. 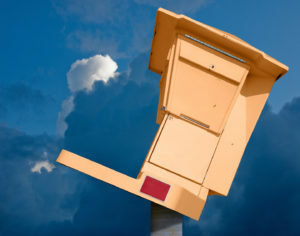 Using these photographs, Zaki utilized 3D animation software to recreate them in virtual space. The resulting images are printed in a complex foldout book, based on the 11 different ways a cube can be unfolded. This work becomes an interactive and ever changing sculptural object of pages, grids, cubes, and unfolded boxes that explore the relationship of two-dimensional representation and the three-dimensional object. 25 1/4" x 36 1/2"